TDS (Time Data Security) Ltd. are excited to announce that we will be exhibiting (Booth #26117) at the Sands Expo in Las Vegas for the upcoming ISC West Conference this April. Along with showcasing some of our industry-leading Enterprise Security solutions, we will also be announcing global partnerships with Mercury Security and Bluvision. Interested in meeting the TDS team at ISC West and getting a walk through of our latest product offerings? Click here to register for a scheduled time slot to secure your spot ahead of time. ISC West is the largest security event in the United States. Spanning over three days, the world famous security show provides attendees and exhibitors the opportunity to network with over 30,000 security professionals through the common interest in New Products and Technology. Returning for a third successful year, TDS will join 1,000+ companies showcasing our SaaS-based Enterprise Security solutions, along with officially announcing new and exciting strategic partnerships with leading U.S companies Mercury Security and BluVision. What will TDS be Exhibiting at ISC West 2019? TDS Visitor prides itself on providing for the full visitor lifecycle while delivering centralised views of visitors across multiple organisational locations. 30 minute online demos of TDS Visitor are available to be scheduled at a time that suits you. Accompanying TDS Visitor on our stand will be our innovative Access Control solution; TDS Access. Our cloud-based solution is flexible, customisable and integrable, allowing clients to benefit from a solution that meets their specific needs. By seamlessly integrating with internal facility management and security systems & procedures, TDS Access provides sites with more secure working environments for people, property and assets. At this year's event, we will be discussing some functions that were newly developed this year. Want to know more about our TDS Access product? Schedule a webinar with our product specialists to learn how you can centralise multiple location insights to improve on-site visibility and security. Interested in learning more about how you can account for personnel digitally in the event of emergency? Book a 30 minute online demo. 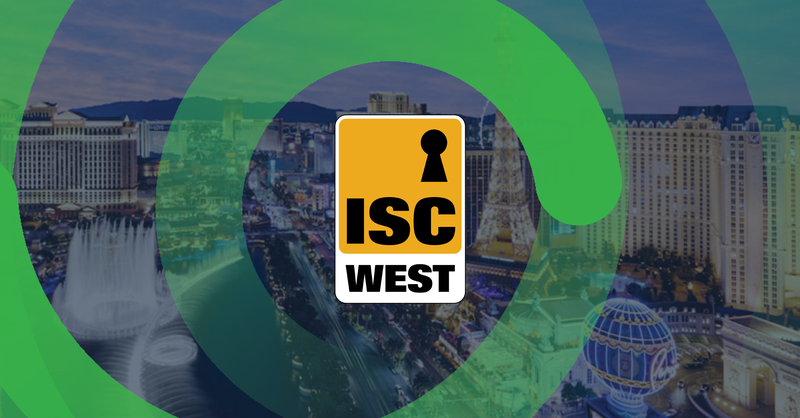 Along with our impressive range of Enterprise Security solutions on display at this year's ISC West event, we will also be officially unveiling strategic partnerships with Mercury Security and Bluvision as we look to provide the very best solutions for our clients. As part of our commitment to providing adaptable hardware and open architecture solutions, we’ve partnered with Mercury Security (Part of HID Global) to incorporate their extensive range of intelligent controllers with our Access Control solution, TDS Access. With hardware designed and manufactured specifically for Access Control based on emerging technology, changing industry standards and evolving network environments, Mercury Security has focused on a distinct manufacturing niche, innovating open architecture hardware for the increasingly-demanding world of facility security. HID’s global leadership in the physical Access Control industry paired with Mercury’s industry-leading open access control platform and TDS’ Enterprise Security solutions will benefit customers around the globe with more seamless integrations of intelligent controllers, readers and credentials as well as from our shared vision for an open, flexible approach to the Access Control Ecosystem. Our partnership with HID Bluvision utilises their market-leading BLE hardware. Bluvision’s sensors and beacons have a sophisticated authentication and encryption capabilities along with supporting multiple standards including; Eddystone and iBeacon protocols. With this strategic partnership, we have pioneered beacon to cloud connectivity without requiring a smartphone application. However, what really differentiates TDS to any other beacon provider is our Cloud solution that has been developed to deeply integrate with Bluzone, empowering enterprises to aggregate and interpret large quantities of sensor data which is then used to help decision-makers by offering improved insights. This partnership also greatly increases the possibility of globally scaling beacon deployments to worldwide locations. Through a combination of our sensor beacons, BluFis and Bluzone solutions, Bluvision is a powerful leader in Enterprise IoT solutions. Due to the high demand at last year's ISC West show, we have introduced a pre-booking system to ensure each attendee has the opportunity to schedule time with the dedicated TDS Enterprise sales team for 2019. If you are interested in scheduling time and booking a slot to meet with the TDS product specialists at this year's show, click here to submit your interest, and we will get back to you with a time and day that suit your schedule.